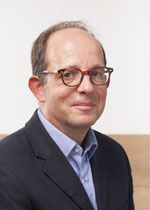 Régis is Director, Grants and Programmes. He was appointed as Arts Programme Manager at PHF in 2005 and then also managed the Education and Learning programme between the summer of 2014 and June 2015 when he took up his current role. He was previously Head of External Relations and then Opera General Administrator at Aldeburgh Productions (now called Snape Maltings). Prior to this, he co-founded the French Theatre Season (1995-97). Régis chairs Ministry of Stories; is a trustee of the Ragdoll Foundation; and a council member of the London Sinfonietta. He previously chaired Tamasha Theatre Company and has also been a trustee of the Young Vic Theatre and King’s Place Music Foundation. He is a graduate of the Institut d’Etudes Politiques in Lyon, France.